Ever since a formerly confident painter friend of mine returned from visiting last month’s Miami art fairs, I’ve noticed a change in our conversations. Artist: “I’m not bold enough to use red like so-and-so does. Did you see his painting in the ABC Gallery booth? Now so-and-so really knows how to work with a strong color like red. I began to think about how difficult it is for artists to capture the hint of a new creative direction as it first emerges and before it quickly recedes in their thoughts. Even if the idea manages to stick around and not slip away, the outcome, a blend of the artist’s instinct, work and luck, remains unpredictable until it’s fully realized. The artist’s momentum could be lost anywhere along the way. 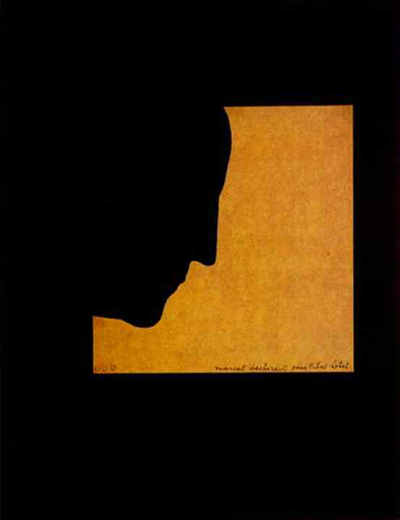 Marcel Duchamp, Self-Portrait in Profile, 1958. Torn colored paper on black background. 14.3 x 12.5 cm. Private collection. If an enormous amount of stimulating art is introduced (i.e. Art Basel) into this delicate process of self-exploration, can it make the artist lose connection to his/her slowly developing thread of personal invention? Can the artist’s original, but not yet fully cooked ideas, get diluted or replaced because of too much exposure to the work of other artists? I’ve always thought that seeing as much art as possible was a good thing for artists—keeps the eye fresh, feeds the soul, encourages reactions and self-questioning. But my friend’s shutdown or copycat responses, in the face of the Miami art avalanche, gives me pause. If other “voices” are louder than your own developing one, can you get drowned out? Can you even hear yourself in the chorus? I think it comes down to a question of personality and timing. Last year, this same friend took to the Miami fairs like paparazzi at the Oscars –but back then, she was firmly and productively entrenched in her work. Her confidence didn’t sway because her direction was already set and established. As a result, she had a great time and enjoyed the work of other artists. But today, my friend is at a turning point. She’s experimenting with new ideas. Her work is changing and going in an unfamiliar direction. Her curiosity about what she’ll come up with spurs her on, but she’s not yet ready to show her art publicly. She needs to keep working until it feels right and something recognizably her own evolves. In this malleable state, with her work in private transition, it turns out to have been the wrong time for her to go to an Artzilla fair. Conversely, for others, being surrounded by the work of many artists might provide just the perfect clarifying counterpoint, one that helps an artist recognize how to leave the defining thumbprint on his/her work. I’ve been asked what type of artist am I… the point person slashing through the jungle with a machete or the ground hog digging deeper into my hole. Both approaches have their advantages and disadvantages. 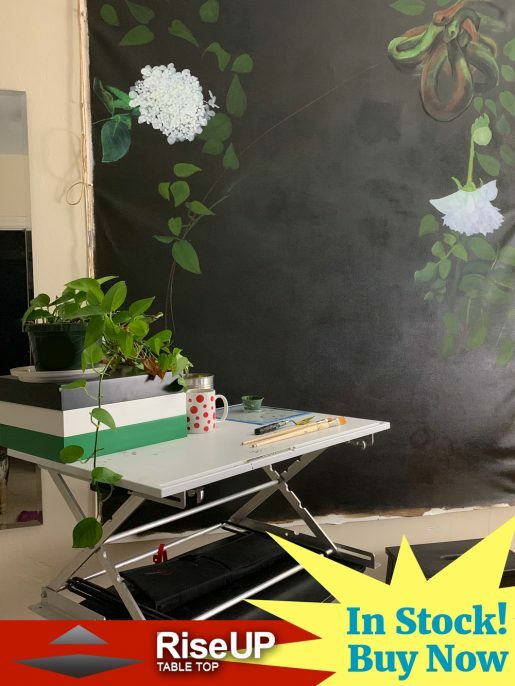 For the artist who loves to continue to explore and experiment in unknown territories, it’s a creative life of newness and unexpected happenings. The problem with this is how to stay focused long enough to create a body of artwork that becomes the signature style. Boredom can filter into an artist’s creative process which is why branching into something new is so appealing. On the other hand, the artist that sticks to a certain style and/or content can create an in depth body of work. Hence, the gallery owners have a easier time representing this artist. But the catch can be the style can become stale, cliche with a formulaic approach to the artwork. So how does an artist remain open to new ideas to incorporate into their style AND become identifiable of their style? Attending art fairs are a great way to stimulate the creative process and see “what’s happening now” but in the end the artist needs time to assimilate the visual overload and realize what is good for them. You raise many good points that can challenge an artist to stay on course: loss of focus, boredom, the pursuit of a signature style, stale ideas, formulaic approaches and compliance with a dealer’s sales tactics. As you say, in the end it’s up to the artist to bring an awareness to these challenges so that his/her work can incorporate aspects of outside influences in an original way. Faith in one’s own creative and life choices has to be developed in order to drown out the other voices desirous of attention. 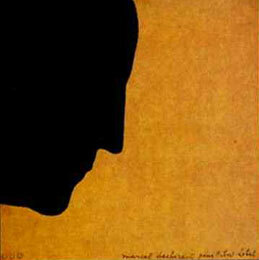 This belief goes to the very heart of an individual’s confidence and sense of artistic purpose. Even in being open to others’ work and exploring in public new means and ideas of creating, being able to simply trust one’s own instincts an artist/human being ultimately stays true to her unique artistic vision and herself. I completely agree about trusting your instincts. During times of vulnerability and change, this might mean that staying “true” to yourself includes periods of not being sure what that means yet.